A plate of bribery brownies. What could go wrong? A preschool auction can lead to murder. At least that’s how Jill Andrews feels. After volunteering to coordinate her son’s preschool auction at the Boathouse Event Center, she’s about to kill her nemesis Nancy Davenport, the Queen Bee of Busy Bees Preschool. Nancy’s micromanagement of the event is making Jill crazy, but it isn’t Nancy who turns up dead. 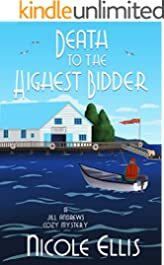 Local coffee roaster Louis Mahoney is supposed to have a basket to donate to the auction, but when Jill arrives to pick it up, all she finds in his office is his body lying on the floor. When Jill’s friend Brenda is suspected of his murder, Jill vows to find the real killer before Brenda loses custody of her twin preschool girls and worse – goes to jail for a crime she didn’t commit. With constant pressure from Nancy and parts of her personal life crumbling around her, how can Jill make good on her promise to help Brenda? Plans for a fairy-tale wedding. A dead body. So much for happily wedded bliss. 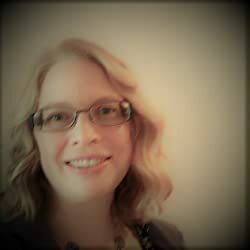 Less than four months into her new job as an events coordinator at the Boathouse Event Center, Jill Andrews is unexpectedly thrown into managing the whole place while her in-laws are out of town. One of the biggest events on her plate is the wedding between two of Desi’s good friends from college. 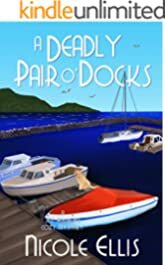 When she finds the body of one of the groomsmen floating next to the Boathouse’s dock, she’s tossed into a media firestorm and ensuing investigation that threatens both her family’s livelihood and her life. 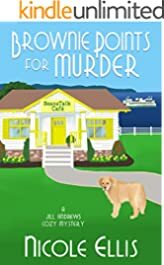 This is the third book in the Jill Andrews Cozy Mystery series, and while it can be read as a standalone, it may be more enjoyable if read in order.